On hump day, flip-flops triggered an auto crash in Wisconsin, according to police who reported that one of the vehicles involved was hauling a camel. 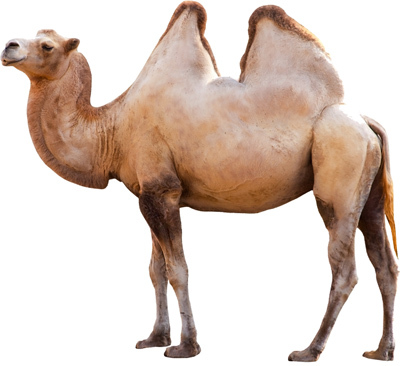 The accident Wednesday was caused when Kelly Ellison, a 28-year-old Milwaukee woman wearing flip-flops, somehow got her footwear caught and “was unable to stop at the stop sign.” Her auto was then hit by a pickup truck pulling a trailer containing a camel named Eli. A press release from the Caledonia Police Department reports that Ellison and her three-year-old child were not injured in the crash. However, the other driver--whose truck went into a ditch--suffered leg and back injuries. The camel, a resident of Jo Don Farms, survived the accident unscathed and will return to work giving small children rides on its back.